The company – which operates the Hong Kong-based exchange of the same name, currently third largest globally by adjusted trading volume – announced the news on its website on Nov. 16, saying it was “necessary to implement” Communist Party principles and policies into private companies. The move, which is reportedly a first for the Chinese cryptocurrency and blockchain space, is also aimed to garner party support for the firm in its domestic businesses, it said. 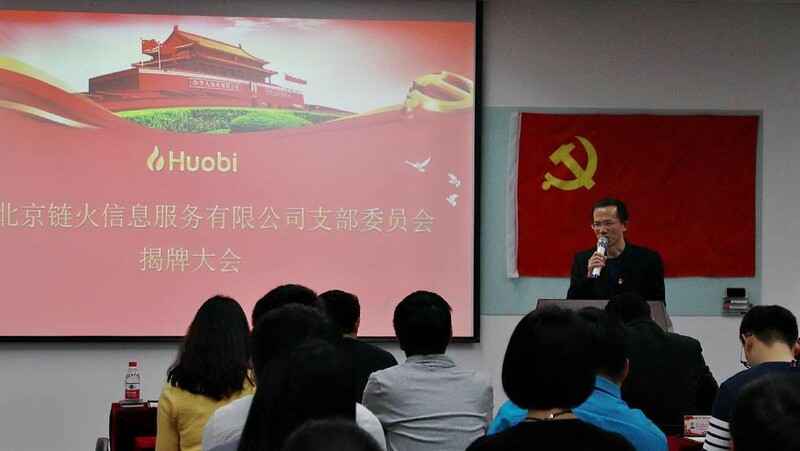 Huobi founder and CEO Li Lin called the new committee “a milestone” for his firm at a launch ceremony that saw 50 staff in attendance. After China’s regulators cracked down on crypto trading last autumn, domestic exchanges were forced to move to more friendly jurisdictions. While Huobi’s exchange business is now based in Singapore, it still has blockchain consulting and research operations on the Chinese mainland. The Communist Party requires firms with at least three party members to set up such committees, although it is standard for public entities to do so, according to local sources. In recent years, however, making the more formal tie to the ruling party has become more common at private enterprises. And while Chinese authorities have clamped down on many crypto activities, including token sales, they are actively promoting the adoption of blockchain technology. Indeed, the Communist Party moved to make blockchain literacy the norm across public offices with the publication of an explainer for officials and members in August.